Craig Morgan Teicher is the author of Brenda Is In The Room And Other Poems (Center for Literary Publishing, 2007), chosen by Paul Hoover as winner of the 2007 Colorado Prize for Poetry; a collection of short stories and fables called Cradle Book(BOA Editions, 2010); To Keep Love Blurry: Poems (BOA Edtions, 2012); and the chapbook Ambivalence and Other Conundrums (Omnidawn, 2014). His poems have appeared or are forthcoming in many publications, including The New Yorker, The Nation, The Best American Poetry 2009, The Paris Review, and The Yale Review. 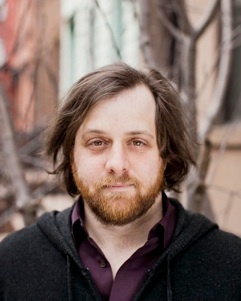 He is Director of Digital Operations and Poetry Reviews Editor of Publishers Weekly, a poetry editor of The Literary Review, a contributing editor of Pleiades, and has served as a Vice President of the National Book Critics Circle.